I tried out two products from sèrumtolôgiè, which were products that had been put in the Golden Globes swag bag this year. They only make two products but the two products they makes, are very good products. Read on for the details about the products. Spark your skin’s youthful glow! sérumtologié® C serum-22 provides an essential anti-aging treatment through the delivery of Sodium Ascorbyl Phosphate, a form of Vitamin C in a highly effective concentration that is more stable and with less chance of skin irritation than L-Ascorbic acid. 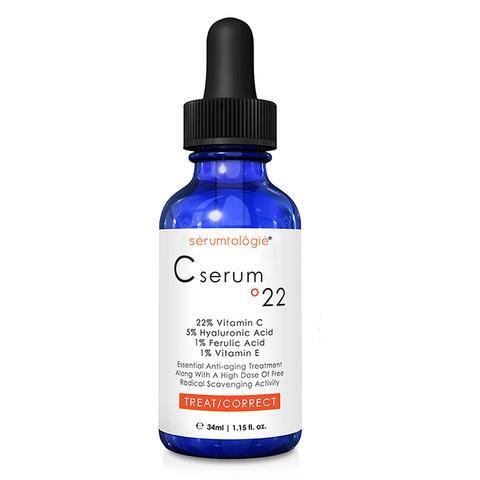 The combination of a new antioxidant-rich form of pure Vitamin C at a 22% concentration, along with vitamin E and ferulic acid signals the skin to speed up its collagen-building process and provide deep anti-oxidant protection. The addition of a unique plant-derived hyaluronic acid at a 5% level deeply hydrates the layers of the epidermis, resulting in a smoother, more youthful appearance. This serum is great because it does not cause any irritation even at this level. Skin discolorations go bye bye. Skin texture is evened out and wrinkles and lines are finally stopped in their tracks. This helps to produce collagen and increase elasticity which means new feeling skin. 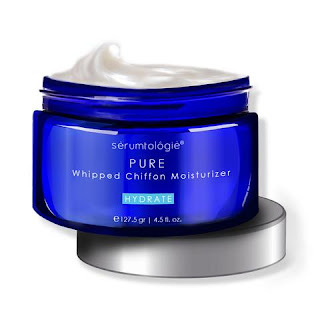 It is a lightweight yet still heavy moisturizer. It feels like it is going to be heavier on the skin than moist creams will and it is but eventually it sinks in to the skin and leaves it feeling soft and richly moisturized. It is a light as air texture in the jar but immediately upon application has kind of a thick feeling for just a few moments. sèrumtolôgiè products can be purchased from www.serumtologie.com. Like sèrumtolôgiè on Facebook: https://www.facebook.com/serumtologie; Follow sèrumtolôgiè on Twitter:@serumtologie; Follow sèrumtolôgiè on Pinterest:https://www.pinterest.com/serumtologie/ and Follow sèrumtolôgiè on Instagram:https://www.instagram.com/serumtologie/.